Hoping that we get a drier day without risk of falling branches for an easy ride around Stanley Park or UBC (exact route will be adjusted to reflect weather and the feeling of the riding horde, but we will ride at least 21 kms to mark each of the years that elapsed after the Ploughman Poet died before the greatest invention of humankind) ending at my home in Kitsilano for some warming treats, mostly of the baked variety. If you do not appreciate the gluten, I will have some grain-based products that have been purified by a well-known distillation process (that may leave you among the baked varieties). 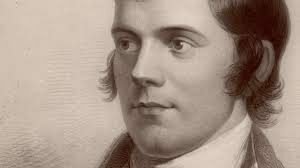 As we will then be in the weekend after the celebration of the 259th anniversary of the birth of Robbie Burns (25 January 1759), we may all lift a glass in remorse that poor Robbie died 21 years before the invention of the bicycle. This tragic mis-ordering of history denied us all a wealth of poems to the “steel pony” that Robbie would, no doubt, have written, but I ask each of you to bring your favourite ode to that most perfect machine to share with the gathered several. If you cannot join the ride, but do not want to miss the bacchanalia (or you have a poem that you REALLY want to share), let me know and I will provide you with my address by email. . I will shorten the ride if road conditions do not allow a safe or comfortable ride, but I will not want to have to eat all the pie and drink all the whisky myself – we all know how badly that would be! Ride: Approximately 25kn; details of the route to be determined based on road conditions to be agreed before we head out on the ride. Meet: 10:30am at Arbutus Coffee (2200 Arbutus St. at West 6th Avenue). Leader: Will, please let me know if you are coming so I can stock adequate provisions. As with all VBC rides, bring your helmet, but leave your haggis and bag pipes at home. This entry was posted on Monday, January 22nd, 2018 at 11:02 pm and is filed under Old Rides. You can follow any responses to this entry through the RSS 2.0 feed. You can leave a response, or trackback from your own site. We had about 13 people come out on this wet, wooly ride and 3 extras arrive at Will’s for the big shindig afterwards. We went clockwise around UBC, stopping at the Beaty Biodiversity Museum for some whale-watching. Will had quite the spread waiting for us, a Martha Stewart-on-steroids kind of affair. The valuable real estate was the hearth in front of the crackling fire where we shared poems and sampled Will’s impressive collection of whiskies. Robbie Burns would have been proud. Many thanks to Will for leading the ride and hosting what is turning into a VBC tradition. So much fun. I’ll second Teresa’s kind words. Will’s special dishes, including a yummy homemade soup accompanied by his own baked bread and tapenade and Teresa’s very tasty cookies, etc., etc., were the perfect antidote to a wet, chilly albeit interesting ride. Poems and a prolific number of Scotches were a lovely sequel. Thanks everyone, for the ride and the feast. For the serious cycle tourist and the man concerned with time. But it’s quite another matter for the guy who sits in back. And half the wind resistance as it travels o’er the land. But it ain’t no bed of roses for the guy who sits behind. It’s just like a locomotive with the front man engineer. He sits and shouts his orders to the fireman in the rear. To the sweating, swearing fellow on the secondary seat. The pilots work the throttles while their partners work the flaps. They are barely more than slaves, a society of saps. Co-pilots do the labour, they are not supposed to feel. It’s likewise with the suckers above the rearward wheel. He decides when brakes are needed and on top of this he steers. But refuses any protest from the guy who’s number two. So he can’t see where he’s going, only places where he’s been. But such pleasure is verboten to the crewman in the stern. I know both my stokers, Tom and Naiden, will appreciate this dreary dirge. Thanks to all who came and made the event so lively.